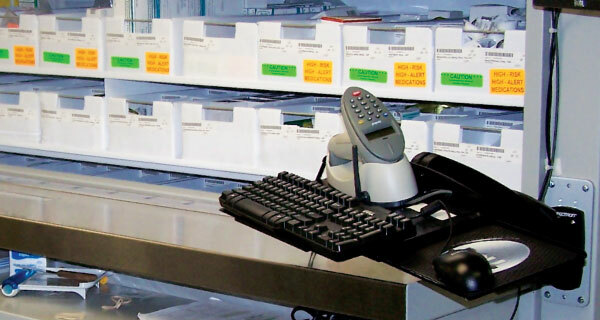 There's nothing new about hospitals using bar codes for supplies and drug formularies. But few large U.S. healthcare supply chain operations have integrated bar-coded medications with patient electronic health records (EHR) as successfully as the Sisters of Mercy Health System. Mercy, the United States' eighth-largest Catholic healthcare system, employs more than 35,000 workers and operates 21 acute care hospitals, two heart hospitals, and a rehabilitation hospital with more than 4,300 licensed beds and 1,200 integrated physician practices in Oklahoma, Kansas, Missouri, and Arkansas. The extensive network requires complex internal supply chain management to keep operations running smoothly, and Mercy excels in this area. "Mercy places importance on its supply chain operation," says Tim Dryer, public relations manager for Lincolnshire, Ill.-based Zebra Technologies, which provides the bar-code systems used by Mercy. "And, by improving supply chain efficiencies, Mercy has realized benefits in other areas."